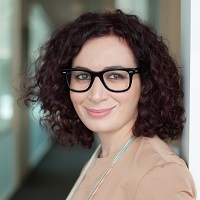 Irene Scopelliti is a Reader in Marketing at Cass Business School. Her research interests are in the domain of consumer psychology, judgment, and decision making. She holds a Ph.D. in Management (major in Marketing) from Bocconi University, a M.Sc in Economics and Management from the University of Calabria (Italy), and a BA in Music. Before joining Cass, Irene was a Post Doctoral Research Fellow at Carnegie Mellon University. Her research has been published in Management Science, Psychological Science, Journal of Product Innovation Management, Psychology & Marketing, and has been featured by major news organizations including Forbes, Time Magazine, BBC News, the New York Times, the Independent, and the Huffington Post. At Cass Irene teaches analytical methods for marketing in the MSc program. She also teaches PhD courses and summer schools on research methods and experimental design. Scopelliti, I., Min, H.L., McCormick, E., Kassam, K.S. and Morewedge, C.K. (2018). Individual differences in correspondence bias: Measurement, consequences, and correction of biased interpersonal attributions. Management Science, 64(4), pp. 1879–1910. doi:10.1287/mnsc.2016.2668 . Morewedge, C.K., Yoon, H., Scopelliti, I., Symborski, C.W., Korris, J.H. and Kassam, K.S. (2015). Debiasing Decisions. Improved Decision Making With A Single Training Intervention. Policy Insights from the Behavioral and Brain Sciences, 2(1), pp. 129–140. doi:10.1177/2372732215600886 . Scopelliti, I., Morewedge, C.K., McCormick, E., Min, H.L., Lebrecht, S. and Kassam, K.S. (2015). Bias blind spot: Structure, measurement, and consequences. Management Science, 61(10), pp. 2468–2486. doi:10.1287/mnsc.2014.2096 . Scopelliti, I., Loewenstein, G. and Vosgerau, J. (2015). You Call It “Self-Exuberance”; I Call It “Bragging”: Miscalibrated Predictions of Emotional Responses to Self-Promotion. Psychological Science, 26(6), pp. 903–914. doi:10.1177/0956797615573516 . Scopelliti, I., Cillo, P., Busacca, B. and Mazursky, D. (2014). How do financial constraints affect creativity? Journal of Product Innovation Management, 31(5), pp. 880–893. doi:10.1111/jpim.12129 . Miceli, G., Scopelliti, I. and Raimondo, M.A. (2018). Preferences for Insight and Effort Differ across Domains and Audiences. Association for Consumer Research Dallas. Scopelliti, I., Vosgerau, J. and Loewenstein, G. (2017). Bragging through an Intermediary. Society for Consumer Psychology Conference 16-18 February, San Francisco, CA, USA. Vosgerau, J., Scopelliti, I. and Huh, Y.E. (2017). Revisiting the Vice Virtue Categorisation in Theories of Self-Control. Society for Consumer Psychology Conference 16-18 February, San Francisco, CA, USA. Scopelliti, I., Morewedge, C., Dawson, A. and Kassam, K. (2016). Evidence against a Unified Confirmation Bias. 37th Annual Conference of the Society for Judgment and Decision Making 18-21 November, Boston, US. Scopelliti, I., Vosgerau, J. and Loewenstein, G. (2016). Bragging through an Intermediary. 76th Annual Meeting of the Academy of Management: Making Organizations Meaningful 5-9 August, Anaheim, California, USA. Scopelliti, I., Morewedge, C.K., Min, H.L., McCormick, E. and Kassam, K. (2016). Measurement, consequences, and debiasing of correspondent inference making. Scopelliti, I., Loewenstein, G. and Vosgerau, J. (2015). Miscalibrated Predictions of Emotional Responses to Self-Promotion. ACR Asia-Pacific Conference 19-21 June, Hong Kong, China. Scopelliti, I., Morewedge, C., Min, L., McCormick, E. and Kassam, K. (2015). Correspondent Inferences and Consumer Decision Making. Society for Consumer Psychology Conference 26-28 February, Phoenix, AZ, USA. Scopelliti, I., Morewedge, C., Min, L., McCormick, E., Lebrecht, S. and Kassam, K. (2015). Bias blind spot: Structure, measurement, and consequences. 16th Annual Convention of te Society for Personality and Social Psychology (SPSP) 26-28 February, Long Beach, CA, USA. Nunes, J., Cillo, P., Prandelli, E., Scopelliti, I. and Dreze, X. (2013). How Fashion Designers Develop New Styles: Creative Epiphany vs. Market Feedback. 74th Annual Meeting of the Academy of Management 1 Aug 2014 – 4 Aug 2014, Philadelphia, USA. Scopelliti, I., Loewenstein, G. and Vosgerau, J. (2014). You Call it Self-Exuberance, I Call it bragging: miscalibration in the use of Self-Promotion. 43rd European Marketing Academy Conference Annual Conference 3-6 June, Valencia, Spain. Scopelliti, I., Botti, S. and Donato, C. (2014). Exposure to High Mastery and Perceived Self-Efficacy. 43rd European Marketing Academy Conference Annual Conference 3-6 June, Valencia, Spain. Scopelliti, I., Loewenstein, G. and Vosgerau, J. (2014). You Call it Self-Exuberance, I Call it bragging: miscalibration in the use of Self-Promotion. Society for Consumer Psychology Conference 2014 6-8 March, Miami, FL, USA. Scopelliti, I., Nunes, J., Cillo, P., Prandelli, E. and Dreze, X. (2013). How Fashion Designers Develop New Styles: Creative Epiphany vs. Market Feedback. 42nd European Marketing Academy Conference 4-7 June, Istanbul, Turkey. Scopelliti, I., Botti, S. and Donato, C. (2013). Exposure to High Mastery and Perceived Self-Efficacy. LaLonde Conference in Consumer Behavior 28-31 May, La Londe les Maures, France. Scopelliti, I., Botti, S. and Donato, C. (2013). Exposure to High Mastery and Perceived Self-Efficacy. European Association for Consumer Research Conference Barcelona, Spain. Scopelliti, I., Cillo, P. and Mazursky, D. (2012). A Glance at the Future. Effects of Anticipated Disclosure of New Product Concepts. 41st European Marketing Academy Conference 23-26 May, Lisbon, Portugal. Scopelliti, I., Vosgerau, J. and Morewedge, C. (2012). Asymmetric Default Effects for Vices and Virtues. Society for Consumer Psychology Conference 16-18 February, Las Vegas, NV, USA. Miceli, G., Scopelliti, I. and Raimondo, M.A. (2019). Preferences for Insight and Effort Differ across Domains and Audiences. Advances in Consumer Research, 46. Scopelliti, I., Vosgerau, J. and Loewenstein, G. (2018). Bragging Through an Intermediary. Advances in Consumer Research, 45. Vosgerau, J., Scopelliti, I. and Huh, Y.E. (2016). Pleasure, Guilt and Regret in Consumption: Revisiting the Vice-Virtue Categorization in Theories of Self-Control. NA - Advances in Consumer Research, 44, pp. 164–168. Scopelliti, I., Morewedge, C., Min, L., McCormick, E. and Kassam, K. (2015). Correspondent Inferences and Consumer Decision Making. NA - Advances in Consumer Research, 43, pp. 686–687. Miceli, G.N., Scopelliti, I., Raimondo, M.A. and Donato, C. (2014). Breaking through complexity: Visual and conceptual dimensions in logo evaluation across exposures. Psychology and Marketing, 31(10), pp. 886–899. doi:10.1002/mar.20741 . Donato, C., Scopelliti, I. and Botti, S. (2013). Vicarious Control: Exposure to Mastery and Perceived Self-Efficacy. NA - Advances in Consumer Research Volume 40 pp. 213–218. Scopelliti, I. (2012). A Glance at the Future. The Effects of Anticipated Disclosure of Concept Products on Consumer Evaluation of Marketed Products. Economia & Management, 2, pp. 32–38. Nunes, J.C., Drèze, X., Cillo, P., Prandelli, E. and Scopelliti, I. (2012). How Fashion Designers Develop New Styles: Creative Epiphany vs. Market Feedback. NA - Advances in Consumer Research Volume, 40, pp. 213–216. Scopelliti, I., Cillo, P. and Mazursky, D. (2011). Stupire o Persuadere? Strategie di Lancio di un Nuovo Stile nel Settore della Moda. Economia & Management, 5, pp. 67–82. Scopelliti, I. and Loewenstein, G. (2011). The Effects of Mastery on Subjective Utility. NA - Advances in Consumer Research, 39, pp. 793–794. Scopelliti, I., Cillo, P. and Mazursky, D. (2011). Does Exposure to Concept Products Affect Judgment of Marketed New Products? NA - Advances in Consumer Research, 38. Scopelliti, I., Miceli, G. and Raimondo, M.A. (2010). Breaking Through Complexity: How the Interplay Between Visual and Conceptual Complexity Affects Logo Evaluation ACRoss Repeated Exposures. NA - Advances in Consumer Research, 37, pp. 622–623. Scopelliti, I., Cillo, P. and Mazursky, D. (2010). Effects of Exaggerated Priming and Fluent Processing on the Evaluation of Design. NA - Advances in Consumer Research, 37, pp. 626–627. Scopelliti, I. and Addis, M. (2007). Campari: Rejuvenating the Jägermeister brand in the Italian market. Case Centre (ECCH). American Marketing Association - Summer and Winter Conferences, Referee, 2010 – 2013. Journal of Experimental Social Psychology, Referee. Journal of Personality and Social Psychology, Referee. LaLonde Conference in Consumer Behavior, Referee. European Journal of Marketing, Referee. Journal of Consumer Research, Referee. Association for Consumer Research, Referee. Society for Consumer Psychology, Referee. Journal of Experimental Psychology: General, Referee. FWO - Research Foundation Flanders, Referee. Journal of Experimental Psychology: Applied, Referee. Society for Judgment and Decision Making Poster Competition, Judge. British Journal of Social Psychology, Referee. Journal of Marketing Management, Referee. Journal of Behavioral Decision Making, Referee. Journal of the Academy of Marketing Science, Referee. International Journal of Research in Marketing, Referee. Organisational Behavior and Human Decision Processes, Referee. Frontiers in Psychology: Personality and Social Psychology, Editorial Board Member. Journal of Consumer Psychology, Referee. ETH Zurich - University of Zurich - Marketing Seminar. (2019). Invited speaker. King's Business School - Kings College London. (Seminar) (2019). Invited speaker. Newcastle University Business School - Marketing Department Workshop. (Workshop) (2019). Invited speaker. Marketing Science Conference. (Conference) Rome, Italy (2019). Marketing Science Conference. (Conference) Rome, Italy (2019). Session/Day Chair. Erasmus University Rotterdam - ERIM - Marketing Department Research Seminar. (Seminar) (2018). Invited speaker. University of Sussex, School of Business, Management and Economics. (Seminar) (2018). Invited speaker. Society for Consumer Psychology - Boutique Conference on Vice and Virtue Consumption. (Conference) Sydney, Australia (2018). Co-authors: Scopelliti I., Huh Y.E. Society for Judgment and Decision Making Annual Meeting. (Conference) New Orleans (2018). Invited speaker. Society for Judgment and Decision Making Annual Meeting. (Conference) New Orleans (2018). Association for Consumer Research. (Conference) San Diego (2017). European Association for Social Psychology. (Conference) Granada, Spain (2017). Panel Member. Co-authors: Vosgerau, J.; Loewenstein, G.
SCP-JACS Collaborative Conference. (Conference) Tokyo, Japan (2017). Co-authors: Scopelliti, I.; Huh, Y.E. Society for Consumer Psychology. (Conference) San Francisco (2017). Co-authors: Vosgerau J., Loewenstein G.
Co-authors: Scopelliti I., Huh Y.
London Business School. (Seminar) (2017). Invited speaker. IE Business School, Madrid. (Seminar) (2017). Invited speaker. City University London, Behavioral Economics Speaker Series. (Seminar) (2017). Invited speaker. Stony Brook University College of Business. Stony Brook, NY, USA (2017). Invited speaker. Università La Sapienza, Roma. (Seminar) (2016). Invited speaker. Surrey Business School - University of Surrey. (Seminar) (2016). City University London - School of Art and Social Science. (Seminar) (2016). Invited speaker. Society for Judgment and Decision Making Annual Meeting. (Conference) Boston, MA (2016). Co-authors: Morewedge C., Dawson A., Kassam K.
Behavioral Decision Research in Management. (Conference) Toronto (2016). Co-authors: Morewedge C., Min L., McCormick E., Kassam K.
Behavioral Decision Research in Management Conference. (Conference) Toronto (2016). Co-authors: Yoon H., Scopelliti I., Kassam K.S. Association for Consumer Research. (Conference) Berlin (2016). Academy of Management. (Conference) Anaheim, CA (2016). Society for Consumer Psychology Conference. (Conference) Phoenix, AZ (2015). LaLonde Conference in Consumer Behavior. (Conference) (2015). Co-authors: Loewenstein G., Vosgerau J. Association for Consumer Research. (Conference) New Orleans, LA (2015). Association for Consumer Research, Hong Kong. (Conference) (2015). Academy of Management. (Conference) Vancouver (2015). LUISS Business School. (Seminar) Rome, Italy (2015). Invited speaker. Grenoble Ecole de Management. (Seminar) (2015). Invited speaker. Carnegie Mellon University. (Seminar) Doha, Qatar (2015). Invited speaker. TEDx Squaremile. (Public lecture) London (2015). Designing a Better Self - London Business School. (Public lecture) London (2015). Invited speaker. Society for Personality and Social Psychology Annual Meeting. (Conference) Long Beach, CA (2015). Co-authors: Morewedge C., Min L., McCormick E., Lebrecht S., Kassam K.
University of Birmingham. (Seminar) (2014). Invited speaker. Imperial College, London. (Seminar) (2014). Invited speaker. Generating and responding to innovation - Hebrew University of Jerusalem. (Seminar) Jerusalem, Israel (2014). Invited speaker. Society for Consumer Psychology Conference. (Conference) Miami, FL (2014). European Marketing Academy Conference. (Conference) Valencia, Spain (2014). European Marketing Academy Conference. (Conference) (2014). Co-authors: Botti S., Donato C.
Behavioral Decision Research in Management Conference. (Conference) London, UK (2014). Co-authors: Kassam K., Morewedge C.
City University London, Psychology. (Seminar) (2013). Invited speaker. LaLonde Conference in Consumer Behavior. (Conference) (2013). European Marketing Academy Conference. (Conference) (2013). Co-authors: Nunes J., Cillo P., Prandelli E., Dreze X.
European Association for Consumer Research Conference. (Conference) Barcelona, Spain (2013). Association for Consumer Research. (Conference) Chicago (2013). Academy of Management. (Conference) (2013). Co-authors: Cillo P., Prandelli E., Scopelliti I., Dreze X. VU Amsterdam. (Seminar) (2012). Invited speaker. University of Groningen, The Netherlands. (Seminar) (2012). Invited speaker. Universitat Pompeu Fabra, Barcelona, Spain. (Seminar) (2012). Invited speaker. Tilburg University, The Netherlands. (Seminar) (2012). Invited speaker. London Business School, UK. (Seminar) (2012). Invited speaker. HEC Paris, France. (Seminar) (2012). Invited speaker. Catolica Lisbon, Portugal. (Seminar) (2012). Invited speaker. Society for Judgment and Decision Making. (Conference) Minneapolis, USA (2012). Society for Consumer Psychology Conference. (Conference) (2012). Co-authors: Vosgerau J., Morewedge C.
Interdisciplinary Science of Consumption Meeting. (Conference) University of Michigan (2012). Invited speaker. European Marketing Academy Conference. (Conference) (2012). Co-authors: Cillo P., Mazursky D.
The Hebrew University of Jerusalem, Israel. (Seminar) (2010). Invited speaker. Katholieke Universiteit Leuven, Belgium. (Seminar) (2010). Invited speaker. How to Brag Without Annoying All Your Friends. (2018) The Cut - New York Magazine. Facebook acknowledges it impacts mental health; here are 5 ways to reduce its effects. (2018) bgr.in. La ciencia explica por qué le caes mal a gente que ni te conoce. (2017) MentesCreativas.net (website). Ecco perché, nel nostro piccolo, assomigliamo tutti ad Einstein. (2017) Corriere della Sera (newspaper). Why sometimes less is more when it comes to self-promotion (and how to brag your way to success) Lessons in the art of bragging. (2017) Stylist Magazine (magazine). Ny studie: Få har koll på när skryt bli osympatiskt. (2017) Vardags Puls (website). Hai poche risorse? Meglio, sarai più creativo. (2017) Wired (magazine). Why sometimes less is more when it comes to self-promotion (and how to brag your way to success). (2017) Stylist Magazine (magazine). 7 warning signs that your Facebook habit could be damaging your mental health. (2017) Metro (magazine). Five tips to make Facebook slightly less terrible for your mental health. (2017) Metro (website). 5 Tips for Practicing Self-promotion Without Being Totally Annoying. (2017) Entrepreneur.com (website). Here's how many of your Facebook friends you should actually focus on (and why). (2016) Yahoo News (website). The Science of ความหมั่นไส้ที่เรามีต่อคนที่ชอบอวดดีกับเรา. (2016) Thai Publica (website). Five Ways To Deal With Braggers. (2016) Life Hacker (website). Boastfulness is not our best quality. (2016) Montreal Gazette (newspaper). Sharing, Oversharing and Facebragging. (2016) Divorce Lawyers Brisbane (website). La ciencia explica por qué le caes mal a gente que ni te conoce. (2016) Coloquio Digital (website). La ciencia explica por qué le caes mal a gente que ni te conoce. (2016) Panama America (newspaper). The art of the humblebrag. (2016) News and Tribune (website). La ciencia explica por qué le caes mal a gente que ni te conoce. (2016) Swagger (website). IMPONERANDE ELLER IRRITERANDE? SÅ SKRYTER DU PÅ RÄTT SÄTT. (2016) Jobtip Sweden. 5 habitos no facebook que podem te deixar infeliz. (2016) Portal do Holanda (website). If You Do These 5 Things On Facebook, You Are Making Yourself Unhappy. (2016) Yahoo.com (website). How to Boast on the Sly. A guide to bragging better. (2016) The Atlantic (magazine). Por qué en los social media hay más "fantasmas" que en una película de miedo. (2016) Marketing Directo (website). Can You Promote Your Accomplishments Without Damaging Your Reputation? (2016) Lee Hecht Harrison - On People (website). WHY WE BRAG – WHAT IF FACEBOOK ASKED WHY? (2016) Powerful Nonsense (website). O Behave. (2016) Ogilvy - O Behave! Issue 14 (magazine). I’M THE BEST! THE SCIENCE OF BRAGGING. (2016) Canvas 8 (website). (2016) BBC World News (television). Jak nauczyć się chwalić samego siebie. (2016) Logo 24 (newspaper). We All Have A Bias Blind Spot, Argues Study -- Some More Tenacious Than Others. (2015) Forbes.com (website). We have no idea how biased we are. (2015) Futurity.org (website). Blind Spot Bias: We Are All Affected By It, Whether We Believe It Or Not. (2015) MedicalDaily.com (website). Social Scientists Say Everyone Is Biased - And We All Have A Bias Blind Spot About It. (2015) Science20.com (website). We are blind to our own bias: Study. (2015) www.business-standard.com (website). Everyone has a bias blind spot, researchers find. (2015) ScienceDaily.com (website). How sharing your success is perceived as bragging, and friends often won't feel happy about your good news. (2015) Independent.co.uk (website). Research Confirms That Humble Bragging Doesn’t Work, It’s Just Really Annoying. (2015) Huffingtonpost.com (website). Careful, even humble-bragging often backfires. (2015) The Barry Morgan Show (radio). How being boastful really can backfire: People who brag about how great they are do not realise how annoying it actually is. (2015) Dailymail.co.uk (website). You don’t think you’re a braggart but everyone else does, study says. (2015) fusion.net (website). Self-Promotion Often Backfires. (2015) myscience.org (website). Humblebrags aren’t making people happy for you. (2015) futurity.org (website). Why are people so annoying on social media? (2015) Redorbit.com (website). Why Are People So Annoying? (2015) Huffingtonpost.com (website). INEFFECTIVE SELF PROMOTION. (2015) Ergonomicsindesign.com (website). Why Are People So Annoying? Science Might Have the Answer. (2015) Bustle.com (website). I Love a Good Braggart,” Said No One Ever. (2015) William Mills Agency (website). Why do people brag? The psychology of bragging. (2015) TEDx Square Mile (website). Bragging Can Backfire, Study Shows. (2015) Medicine.net (website). Se você tem esses cinco hábitos no Facebook, cuidado, eles arruínam sua felicidade. (2015) Serrote FM (radio). Científicos indagan las causas de la antipatía. (2015) Blasting News (website). Prahlen geht oft nach hinten los: „Humblebragging“ führt in sozialen Netzwerken nicht zum gewünschten Ziel. (2015) http://xethix.com/ (website). Onderzoek bewijst: blaaskaken nekken zichzelf. (2015) De Morgen (magazine). Bragging Can Backfire, Study Shows. (2015) Health Day (website). Selbstdarstellung: Negative Reaktion der Mitmenschen wird unterschätzt. (2015) Karriere Blog (website). Understanding and Mastering the Empathy Gap. (2015) Psychology Today (magazine). COLUMN: Social media bragging can quickly backfire. (2015) Daily Trojan (newspaper). Unintuitive findings - Social interactions. (2015) SicoTests.com (website). I BOUGHT A HOUSE THAT IS SIMPLY TOO BIG AND NOW I HAVE TO HIRE A CLEANING SERVICE…. (2015) Keene Trial - The Jury Room (website). How to make a good impression? Don’t brag. (2015) Familife.in (website). Стоит ли хвалиться своими достижениями? (2015) psychologies.ru (website). The Braggart’s Dilemma: How to Promote Yourself Without Being a Jerk. (2015) 99u.com (website). Sabes transmitir tus emociones? (2015) Cenit Psicologia (website). Careful, even humble bragging often backfires: study. (2015) Sowetan Live (website). Self-Promotion Often Backfires: Study. (2015) The Quint (website). Imponerande eller irriterande? Så skryter du på rätt sätt. (2015) Metro Jobb Sweden (website). Save Export Print Cite Bragging: Researchers Find Self-Promotion Often Backfires. (2015) High Beam Research (website). El alardear a menudo resulta contraproducente. (2015) Psicologia al Dia (website). Autopromoção pode se voltar contra você. (2015) Diario da Saude (website). Are you a braggart? Beware, self-promotion often backfires. (2015) Hindustan Times (newspaper). There’s no such thing as a “humblebrag” — and science proves it. (2015) Rare.us (website). Beware: Bragging Often Backfires. (2015) psychcentral.com (website). This Is Why People Hate Some Of Your Facebook Posts. (2015) Yahoo News UK (website). Bragging, Self-Promoting Yourself Often Backfires. (2015) University Herald (website). Self-promoting may cause more harm than good. (2015) Health E-news (website). Study: Careful, even humble bragging often backfires. (2015) The Malay Mail (newspaper). Beware! Self-promotion can backfire on you. (2015) Rediff.com (website). Content marketing messages with too much “me” are doomed to fail. (2015) Crystal Clear Communications (website). Autopromoção não funciona. (2015) Epoca Negocios (magazine). ¿Autopromocionarse en redes sociales puede salirle caro? (2015) Gestion (magazine). La ciencia explica por qué no soportas a ciertas personas. (2015) Dinero en Imagen (magazine). Önreklámozás vagy hencegés? (2015) DebMedia.Hu (website). La discrétion est un excellent faire-valoir. (2015) Le Monde (newspaper). Cuando alardear es un bumeran. (2015) El Pais (newspaper). Caution in Social Media Age: Self-Promotion Can Backfire. (2015) DoctorsLounge.com (website). Bragging can backfire, study shows. (2015) Medical Express (website). Fine line between self-promotion and bragging. (2015) Health24.com (website). Self-Promotion on Social Media May Backfire. (2015) Pharmacy Times (website). Comportamiento digital: Alardear o victimizarse por las redes sociales no siempre genera buenos frutos. (2015) El Mercurio (newspaper). Alardear o victimizarse por las redes sociales no siempre genera buenos frutos. (2015) Economia y Negocios (magazine). Got a Promotion? Why You Should Shut Up About It. (2015) The Fiscal Times (magazine). A ciência comprova: Gabar-se não resulta e chateia os outros. (2015) Noticias ao Minuto (website). Di persona o su Facebook, vantarsi paga poco. (2015) Oggi Scienza (website). Why bragging isn’t doing you any favors. (2015) Alltop.com (website). Not So Happy for You: Why Bragging Can Backfire. (2015) TheDoctorWillSeeYouNow.com (website). Careful, even humble bragging often backfires. (2015) The Rakyat Post (newspaper). Why excessive bragging at work backfires. (2015) Asian News International (website). Why Bragging Doesn't Work. (2015) MindBodyGreen.com (website). Careful, humblebragging often backfires online. (2015) Hindustan Times City (newspaper). Careful, even humble bragging often backfires: study Read more at http://www.thestar.com.my/tech/tech-news/2015/05/20/careful-even-humble-bragging-often-backfires-study/#hOtLftCkkxcR1207.99. (2015) The Star (newspaper). WEEKLY GUT CHECK: CAN YOU PROMOTE YOUR ACCOMPLISHMENTS WITHOUT DAMAGING YOUR REPUTATION? (2015) The Leadership Contract (website). ‘Tighter budgets boost creativity’. (2014) b2bmarketing.net (website). Il budget ridotto aiuta la creatività delle aziende. (2014) Businesspeople.it (website). Your Self-Promoting Is More Annoying Than You Think. (2014) Inc.com (website). Quando i Budget ridotti possono stimolare la creatività. (2014) spotandweb.it (website). Using Mental Chains to Free Your Innovating Capability. (2014) www.3point14innovation.com/ (website). Great Vacation? Don’t Brag to Your Friends. (2014) The New York Times (newspaper). This Is the Best Column Ever. (2014) Bloomberg View (magazine). Scientific Evidence That Self-Promoters Underestimate How Annoying They Are. (2014) New York Magazine (magazine). Finanzdruck fördert Kreativität. (2014) www.managementportal.de/ (website). How Oversharing Is Actually Hurting Your Friendships—and What You Can Do About It Right Now. (2014) Teen Vogue (magazine). Slick presentation is boxing clever. (2013) Raconteur. Your Self-Promoting Is More Annoying Than You Think. Future-ceos.com (website). 「假謙虛真吹噓」的自我推銷 加入收藏. Business Today Taiwan (magazine).